This word maze puzzle is a two step challenge! 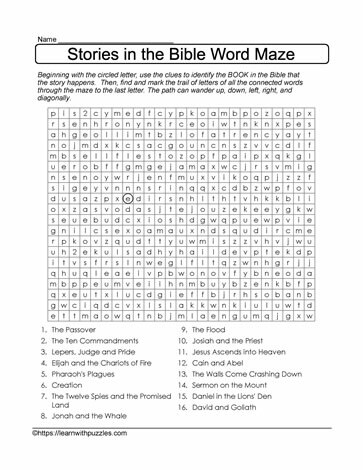 Students must first decide on the book in the bible from which the bible story comes, and then, starting with the circled letter, spell out the name of the book in the bible. The name of the bible book does not follow a straight path. Great for engaging the brain!